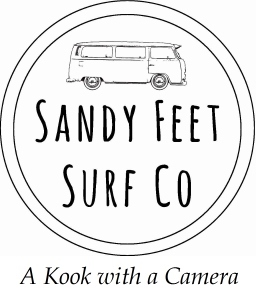 Sandy Feet Surf Co.: The Office. Some days I can spend all morning taking photos and still struggle to come up with enough decent shots to fill the page. Today was looking like one of those mornings until Matt Banting strolled down and paddled into his office. In less than half an hour, he made some very ordinary waves look good and left me with a pile of keepers to go through. You don't have to surf like Banting to have fun.